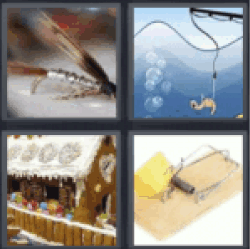 4 Pics 1 Word Insects. Bait. Fish bait. Bait house. Mouse trap.